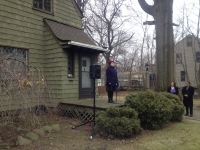 CRS President Kathleen Crowther announces the Heritage Home Purchase Program in front of a house on Bluestone Road in South Euclid. On Jan. 16, the Cleveland Restoration Society (CRS) announced the expansion of its Heritage HomeSM (Sales Mark) Program to assist potential homeowners in both purchasing and rehabbing existing homes. Previously, homeowners could receive a low-interest fixed-rate loan for renovations. Now, they can also receive a second mortgage to make the initial purchase more affordable. Called the Heritage Home PurchaseSM Program, the new program combines free technical assistance from CRS with a variable-rate home purchase loan and fixed-rate home improvement loan from program partner First Federal of Lakewood. Cuyahoga County subsidizes the loan to ensure a low interest rate. Kathleen Crowther, CRS president, made the announcement at a press conference held in front of a vacant home on Bluestone Road in South Euclid. One South Euclid, the city’s community development corporation, recently purchased the home from the Cuyahoga Land Bank, and seeks to market it as a candidate for the purchase/rehab program. The loans are made based on the after-rehab value of the property—up to 90 percent of the appraised value or 95 percent if the property is located in a low/moderate census tract or the borrower’s income falls within a low/moderate range. The purchase loan is a variable rate. The rehab loan is a low fixed rate—currently 2 percent through KeyBank and 1.85 percent through First Federal Lakewood. No real estate tax or insurance reserves need to be posted at closing, so homebuyers can put all of their cash into upgrading the property. The program is available to buyers of homes that are 50 years old or older, in communities that participate in CRS’s Heritage HomeSM Program. The home does not have to be owner-occupied, and it can be income-producing. 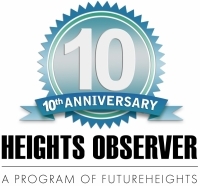 Cleveland Heights has participated since 2002, and University Heights, which participated from 2003–09, rejoined the program in 2013. 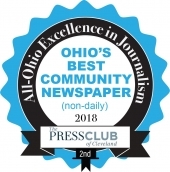 According to Mary Ogle, program specialist at CRS, Cleveland Heights is one of the most active participants in the program. In Cleveland Heights, CRS has facilitated 164 loans valued at more than $5.5 million, conducted 244 personalized site visits and provided 647 instances of free technical assistance valued at $12.4 million. In University Heights, CRS has facilitated 12 loans valued at $355,682, conducted 14 site visits and provided 97 instances of technical assistance valued at $1.5 million. Ogle said that CRS can review a vacant or distressed home, identify the rehab potential and estimate the project costs. She said that CRS has worked with the cities of South Euclid and Lakewood to promote properties that each city brought to CRS’s attention, and could partner with Cleveland Heights and University Heights in the same way. Both interior and exterior renovations are eligible, and CRS staff will provide unbiased and impartial advice about materials, contractors and the scope of work. CRS staff will also help homeowners work with contractors to ensure accurate estimates and monitor progress. “Having access to these services before purchasing a home can help eliminate [the potential for] the homeowner feeling overwhelmed, and help think through the surprises home renovations sometimes bring,” said Ogle.